2 x serial ports (DB9) up to 614400 baud. Prototype board never released (#11). Missing trace on the rear of the PCB layout (jumper trace present). Socketed PAL chip. First production board. All possible connectors, sockets, and potential components, no PCB layout mistakes. Cost reduced. The MIDI option was deemed not to be popular, but the serial ports were very popular. Unnecessary components not included. 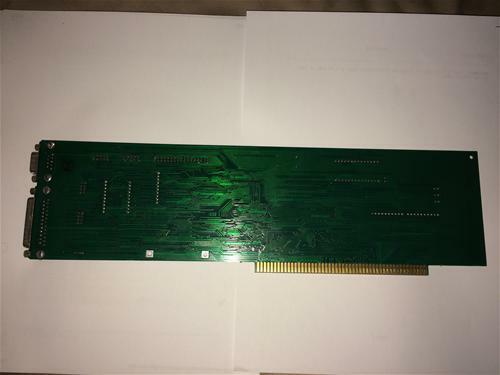 This includes J4, Rom socket, MIDI header on the card, and 37 0-Ohm jumpers in front of the connectors. The MIDI connector was still functional in software if a 10-pin header was added. J3 - Hardware AutoConfig Disable (for testing/debug use only) - Shorted, the board will not AutoConfig, and any downstream boards are not sent the AutoConfig signal on the Zorro bus. J4 - ROM Disable - If the U5 ROM socket was installed, any boot ROM (like a GVP FastROM) could be placed there to activate at boot time. It would potentially activate any card including the one it was on, if programmed to find it. However, the GVP I/O extender never had a 'boot ROM'. All drivers were put in the Expansion drawer, and activated with Binddrivers during startup. There were no products made for the Option connector, though it contains most, if not all, of the important signals from the DPRC or serial/parallel port (pin out was never documented). Standoff holes were provided at the bottom of the card for option card stability. The GVP I/O Extender serial port, as included on the GVP A2000 G-Force '040 board, is numbered as serial port 0. When followed by a GVP I/O extender, the first two ports on the first I/O Extender are numbered serial port 1 and 2, on the gvpser.device. The manual incorrectly states that port 1 in the sequence is not used. Subsequent I/O Extender serial ports on additional cards are numbered 3 & 4, 5 & 6, etc. 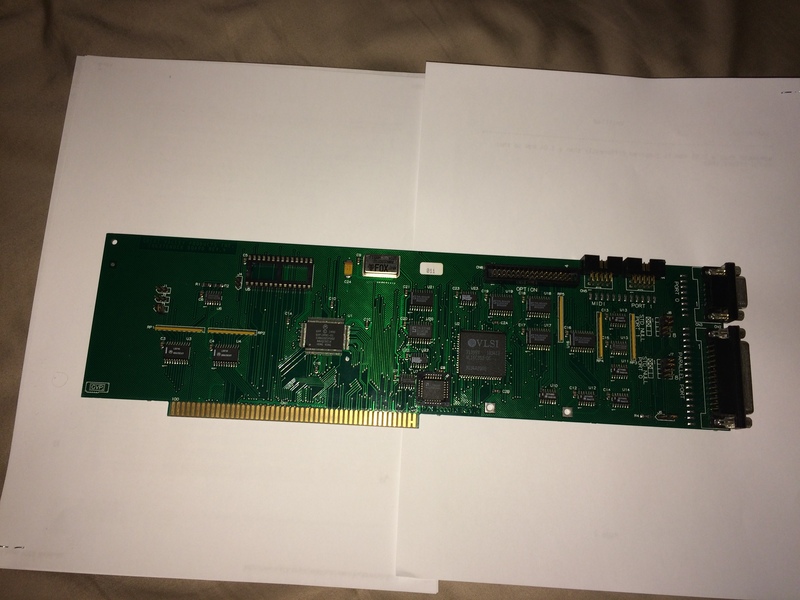 The GVP G-Force '040 board has the same hardware (a VL16C552 chip), but the software knows there is no connector space for the missing port, and correctly skips the unconnected hardware. The Rev 4 card is a prototype that was never shipped. It is much like the Rev 6, but has a missing trace on the rear (jumper wire visible). This cards has a 20Mhz oscillator, and is functional, but it does not impact the serial/parallel performance. I believe the clock value only mattered to MIDI function/calculations. The oscillator was soldered in on production boards. Page contributors: Michael M Rye, RiWa & Friends, Robert Miranda (GVP Tech Support), Steve Geary.